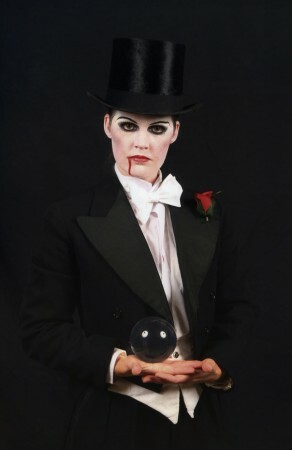 Meet the vamp who wants to mesmerise you with her crystal ball- but does she have an ulterior motive? The blood stains might hold a clue! 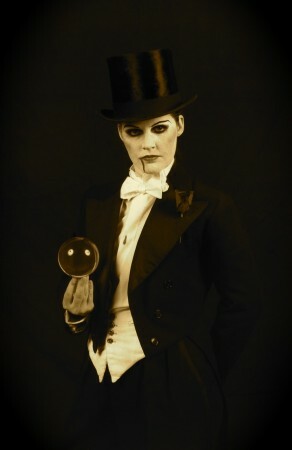 Clothed in the finest vintage top hat and tails, this gentlewoman vamp, is a stylish, sleek and smart walkabout with rare, magical, effortless grace of crystal ball manipulation.